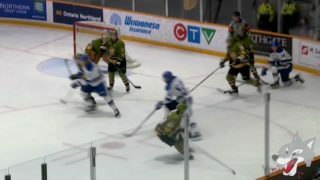 (Greater Sudbury, ON) Wolves hockey action continues this weekend for another double-header at the Sudbury Arena. Friday, the Wolves host the Flint Firebirds for the only time this season, while Sunday, the Wolves host the Niagara IceDogs. 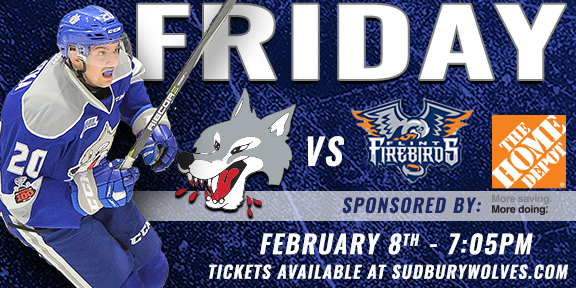 Friday, the Wolves will meet up with the Flint Firebirds at 7:05pm. The Firebirds are currently ranked 5th in the Western division. They are led upfront by Dallas Stars prospect Ty Dellandrea and sniper Jake Durham. Dellandrea has racked up 52 points in 46 games, while Durham has 49 points in 52 games. Dellandrea was drafted 13th overall in the 2018 NHL Entry Draft, signing with the Stars prior to the start of the OHL season. Forward Ethan Keppen has also been a consistent producer for the Firebirds this season, with 40 points in 52 games at an even split of 20 goals and 20 assists. Friday’s game is sponsored by the Home Depot. Lucky fans will receive Home Depot draw string bags. Visit their table in the lower lobby to participate in their Mystery Puck Challenge for the chance to win a $100 Home Depot gift card. Visit the Ryobi Table in the lower lobby to test your luck with their drill-off contest and to find out how you can save 15% off Ryobi products. 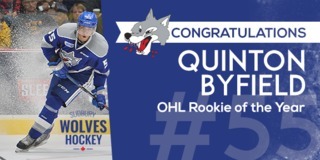 Sunday, the Wolves will face Central division rivals the Niagara IceDogs at 3:05pm. The Wolves sit 8 points away from the IceDogs in the Central division standings. 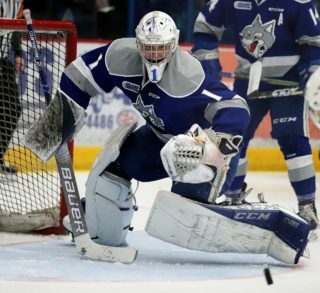 IceDogs roster includes NHL prospects, Jason Robertson and Ben Jones. 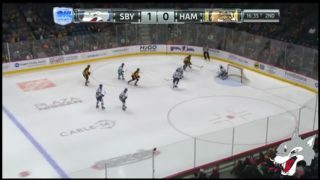 Robertson currently sits 3rd overall in the OHL scoring race with a total of 83 points in 44 games. Jones has 74 points in 50 games to place him 8th in the league’s standings. The IceDogs also have Edmonton Oilers prospect, Kirill Maksimov who has scored 31 goals in just 47 games. Sunday’s game is sponsored by Teachers Life and CMHA Talk Today who will be on hand with stress pucks for the first 1000 fans. 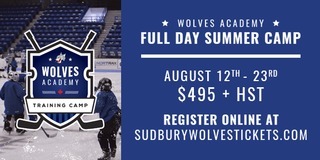 Visit their table in the lower lobby for more information on the Talk Today program and to enter your name for the chance to win an autographed Sudbury Wolves hockey stick. The Wolves will also welcome Finlandia Village and the Sudbury Finnish community to Sunday’s game for Finnish day with your Wolves. The first 1000 fans will also receive a limited edition Luukkonen Finnish Flag. Prior to this weekend’s home games, the Wolves will travel to the GFL Memorial Gardens on Wednesday to match-up with the Sault Ste. Marie Greyhounds at 7:07pm for game 4 of the Bell Challenge Cup. 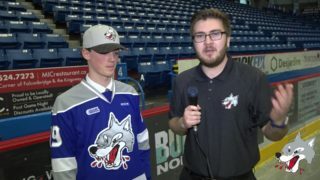 To follow the Wolves on the road, fans can tune into the live play-by-play on CKLU 96.7 or stream it live on mixlr.com/sudburywolves.